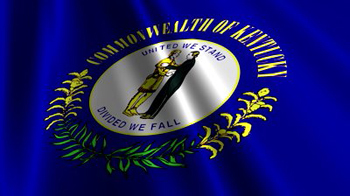 FRANKFORT, Ky. (April 4, 2019) – The Department for Local Government (DLG) has announced a $750,000 grant from the Appalachian Regional Commission to the Breathitt County Water District. The federal funds will allow the district to extend water service to four areas located near the city of Jackson, as well as repair aging water monitoring equipment and repair several water storage tanks. The project includes the installation of more than 16,000 linear feet of waterline along War Shoal Road, Old Bailey Hollow, Robinson Fork Road and Road Fork Road. The federal funds will cover the full cost of the project. “Connecting to county water will help alleviate issues of hard water and high iron concentrations for the 30 or so homes that are currently served by private wells and will receive service through this project,” Rep. Cluster Howard said. “I look forward to seeing how this project improves water quality for Breathitt County residents. I appreciate Commissioner Dunahoo and her hard work to help get this done."